At the outset of World War II, Denmark did not resist German occupation. 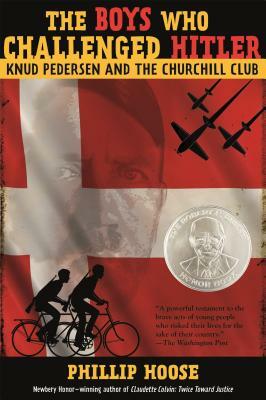 Deeply ashamed of his nation's leaders, fifteen-year-old Knud Pedersen resolved with his brother and a handful of schoolmates to take action against the Nazis if the adults would not. Naming their secret club after the fiery British leader, the young patriots in the Churchill Club committed countless acts of sabotage, infuriating the Germans, who eventually had the boys tracked down and arrested. But their efforts were not in vain: the boys' exploits and eventual imprisonment helped spark a full-blown Danish resistance. Interweaving his own narrative with the recollections of Knud himself, The Boys Who Challenged Hitler is National Book Award winner Phillip Hoose's inspiring story of these young war heroes.